On the Nose: What's the Difference Between Rhinoplasty and Septoplasty? On the Nose: What’s the Difference Between Rhinoplasty and Septoplasty? Rhinoplasty and septoplasty are both plastic surgery procedures involving the nose. Rhinoplasty prioritizes the outside, or aesthetic appearance of the nose, while septoplasty deals with structural issues inside the nose, such as issues with breathing. Often, the two types of surgeries are combined and completed together to optimize both the form and function of the nose for the future. Luckily, Dr. Smith’s double board certification has allowed him to become an expert in rhinoplasty and septoplasty. In fact, he calls them his favorite procedures because of the subtleties and challenge involved. Perhaps not surprisingly, up to 40 percent of Smith Cosmetic Surgery’s rhinoplasty patients are referred as revisions of other doctors’ work. Rhinoplasty and septoplasty procedures complement one another by providing renewed form and function. Rhinoplasty is commonly referred to as a “nose job.” This surgical procedure works to enhance the outward look of the nose, or its external aesthetics. That often involves reshaping a “crooked” nose or bringing a large nose into better proportion with the rest of the face. The tip, bridge and rotation of the nose may all come into play when mapping out the best rhinoplasty solution. Rhinoplasty can also address changes that naturally occur in the nose during the aging process. These include shifts in cartilage that actually make the nose “grow” over time. During nose surgery, Dr. Smith uses tiny incisions to raise the nasal tissue and access the underlying bones and cartilage. Then he painstakingly manipulates the bone structure, cartilage and skin tissue to reshape the nose and achieve facial symmetry. On the other hand, septoplasty is a form of surgery for the inside of the nose. It’s most commonly performed to correct structural defects such as a deviated septum. The septum is the section of bone and cartilage that divides the nostrils. When the septum is not aligned it can make it harder to breathe properly. Septoplasty is used to straighten or reposition the nasal septum to make the nose function as it’s meant to. In the world of plastic surgery, the two procedures — rhinoplasty and septoplasty —typically overlap in two ways: 1) A patient opting for rhinoplasty already has a septum issue, which can be corrected at the same time as the external enhancement, or 2) The custom nature of rhinoplasty may require manipulating the size or shape of the nose in such a way that the septum could become an issue later on. In this case, it’s wise to improve form and function all at once. Not every doctor can perform cosmetic nose surgery with precision. And very few can do both rhinoplasty and septoplasty because they require two different and extensive certifications. Dr. Smith has both. 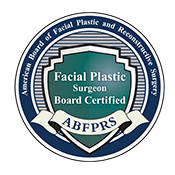 He is certified by the American Board of Facial Plastic and Reconstructive Surgery as well as the American Board of Otolaryngology/Head & Neck Surgery. That means he’s highly educated in both the form (outside) and function (inside) of the nose. And this renowned expertise is also why patients, other surgeons and the plastic surgery community have come to rely on Dr. Smith’s exceptional results. “A lot of doctors shy away from noses because it’s very delicate and very challenging work. Someone probably needs to do 250 noses before they can even start to understand the complexities of the results,” says Dr. Smith. He explains, “Everyone’s nose is a little different and little subtitles with the nose can shift the result.” Because they are not cookie-cutter or standard procedures, cosmetic nose surgeries require having a lot of tools in the toolbox to achieve a good result, according to Dr. Smith. But at Smith Cosmetic Surgery a great result is the ultimate reward for doing good work. Averaging at least one nose surgery a week, Smith Cosmetic Surgery is well versed in the preparation and post-operation procedures necessary for a successful rhinoplasty and septoplasty, if both are required. Each cosmetic nose surgery patient starts with a one-on-one appointment with Dr. Smith. 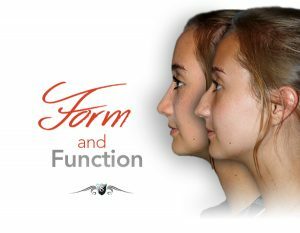 The meeting addresses each person’s unique facial features and cosmetic goals, as well as predictive and realistic solutions for both the form and, if necessary, function of each individual nose. Remember, we know the nose is one of the most prominent features of the face and can bring some emotional intensity with it. When you’re ready to make a big change that you may have been thinking about for a long time, we’re here to help. Dr. Smith has cultivated a compassionate staff that understands that these are weighty decisions. And we don’t take them lightly. Let us answer the questions on your mind. With three decades of experience, the Smith Cosmetic Surgery team is ready and willing to take on the challenge of making your nose — and life — as balanced as possible. 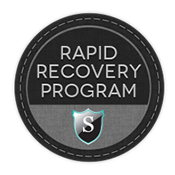 Call us today at 888-218-7109 or contact us online to request your complimentary consultation.